Microwave Oven Tripping Breaker – What Is Causing This? Question: We have a microwave tripping the breaker. Half of the kitchen power goes out. The toaster, toaster oven, lights, and coffee machine all stop getting power. This does not seem to happen all the time except mostly in the morning. We have to go outside to our main circuit breaker box and reset the tripped breaker. Is it possible we have a faulty breaker or is our microwave going bad? Can you recommend troubleshooting needed? Answer: Your microwave oven is simply overloading the kitchen circuit. If you run just the microwave oven by itself, then this should never happen. You are most likely running too many appliances at once on the same circuit. Your microwave should have its own dedicated circuit so this does not happen. The microwave should not share the same kitchen circuit with other appliances such as toasters or coffee makers. When you have a toaster or toaster oven on the same electrical circuit as the microwave, and you have the microwave and toaster ON at the same time, this will sometimes cause the circuit to overload and trip the breaker. This happens because the circuit is being overloaded as it is exceeding the amount of amps thus causing the breaker to trip. Microwave Tripping The Circuit Breaker – How To Fix? Faulty Microwave, Faulty Circuit Breaker, or Too Many Appliances At Once? If the microwave is ON (and nothing else) and the breaker trips, then you may have a faulty microwave which pulls an excessive amount of electricity. You may have a faulty circuit breaker which will need to be removed and replaced. If the microwave by itself runs without tripping the breaker, but you add many other appliances such as a toaster, or a coffee maker to the circuit at the same time, then you are simply pulling too many amps and the breaker trips. If your microwave is plugged into a GFCI breaker outlet and it trips, the outlet may be at fault or the microwave is pulling too many amps, try just resetting the GFCI outlet. If your microwave constantly trips the breaker, check to be sure the microwave has a its own dedicated circuit. In simpler terms, this means the microwave has its own circuit breaker. Check in your breaker box to see if the breaker that keeps tripping has the word “Microwave” next to it. If so, it has a dedicated circuit. If the breaker that constantly trips says “Kitchen”, then you know the microwave is not on its own dedicated circuit. 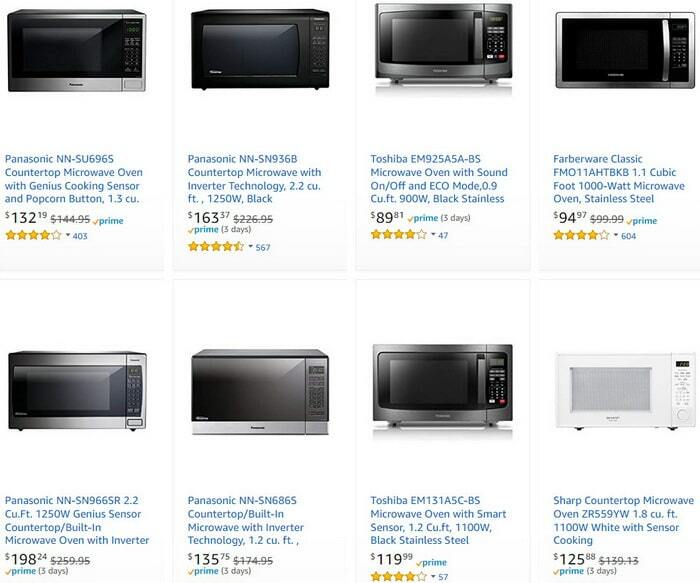 How To Test Your Microwave To See If It Is Faulty? If your microwave has a dedicated circuit and the breaker keeps tripping, test the microwave on a higher amp circuit. If the microwave trips that breaker, then you know the microwave is at fault. It could be a simple issue with the microwave having a blown fuse or it may be time to get a new microwave oven. 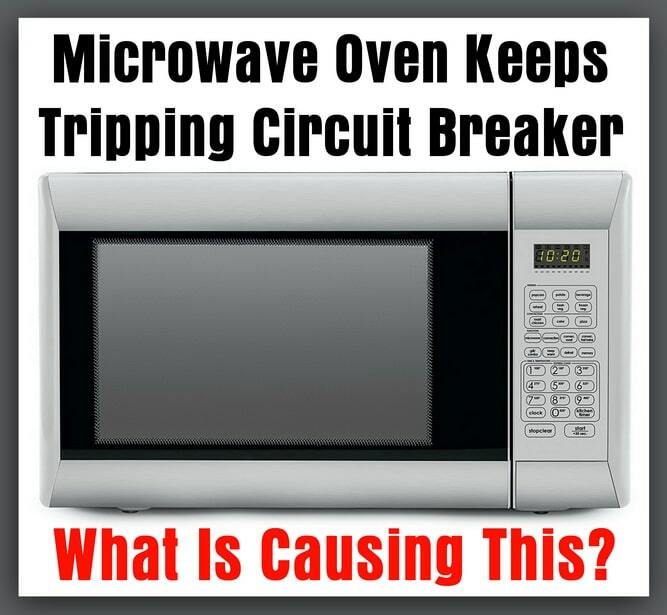 If the breaker does not trip while testing on a higher amp circuit, then you know the microwave is not faulty and a dedicated circuit is needed in your kitchen for the microwave. If you have a faulty microwave and want to repair it, check here for How To Fix A Microwave Oven. Is Getting a Dedicated Circuit For Your Microwave Too Costly? If getting an electrician to install a dedicated circuit for your microwave is too much money, then try not to use the microwave, toaster, and coffee maker at the same exact time if the microwave does not have a dedicated circuit. Most of the time, if the microwave oven is running the same time a toaster is running, the breaker trips. Try to use only one appliance at a time if the appliances are all on the same circuit. HINT: Set your coffee maker to make coffee right before you wake up. Then the coffee machine has done its job and does not need to be turned on again. Microwave what you need and then use the toaster afterwards. This will prevent the breaker from tripping if all appliances are on the same circuit. Question or comments on a microwave that keeps tripping the breaker? Please leave your questions and comments below and we will be happy to assist you. When writing your question, please let us know if your microwave oven is on a dedicated circuit, and the model number of your microwave, which can be found on the inside wall of the microwave. Previous post: Dishwasher Not Dispensing Soap – What To Check?